1, PH value of the waste water is 6 -9. 2, Solid content in the waste water range from 1 to 10%. 3, Filtration capacity of waste water approx 6 m3/hour. 4, Cake moisture about 5 to10 % and volume up to 100 liter. 5, For chemical industrial waste water generated from chemical blending and drums washings. 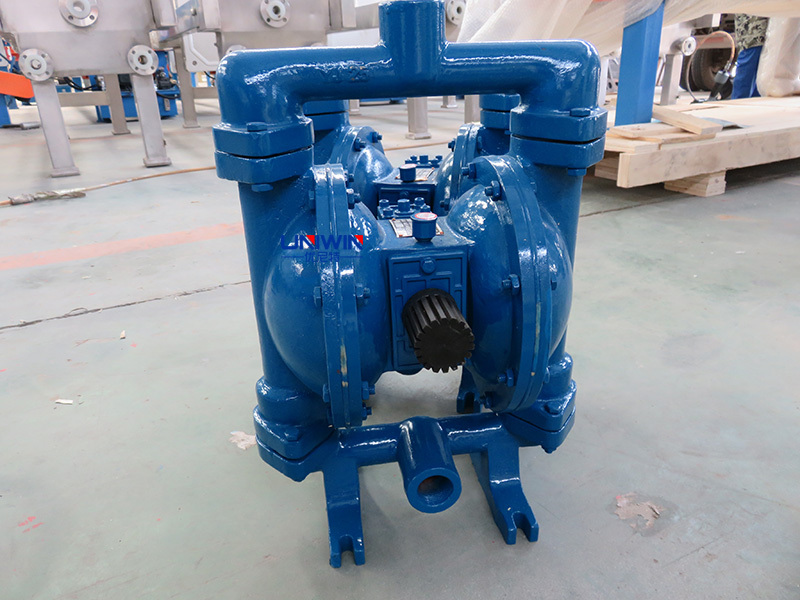 However, Mr. NG want to buy a pump to match this new filter press XMY 8/450-30U, our engineer suggest to use the model QBY-25 diaphragm pump, price is usd 320 (cast iron material, head 50m, flow max 5 m3/h). Welcome to inquiry our filter press, Uniwin filter press will help you filtrate what you want !! !